By David D. Grumhaus, Jr. , Head of the Infrastructure Group and Senior Portfolio Manager, and John Creswell , Executive Managing Director, Duff & Phelps Investment Management Co. The oil-price slump triggered fundamental changes that have transformed the investment outlook for the listed infrastructure sector. The dramatic fall in oil prices in 2014 and 2015 caused much pain for investors in North American energy infrastructure stocks. Amid lower commodity prices and, ultimately, lower production, this pain was compounded by the fact that investors came to view energy infrastructure companies as not having sustainable payouts, quality balance sheets, transparent structures, or aligned interests. Most of the listed energy infrastructure investment was channeled through Master Limited Partnerships (MLPs), which did not hold up well during the downturn. However, investors that have written off this sector are missing out on a promising story that today includes secular growth, greater transparency, sustainable yields, and stronger corporate governance. In addition, the sector has become more attractive to global buyers as the restructurings that have taken place in the industry have led to an increase in the number of pure-play, C-corporation North American energy infrastructure companies. Before 2014, there were only a handful of energy infrastructure companies not structured as MLPs. Even those that did exist tended to generate their earnings through ownership of an underlying MLP. The emergence of US shale technology led to dramatic increases in US oil and gas production, which in turn required significant investment in midstream infrastructure such as pipelines, processing plants, gathering assets and storage terminals. Touting attractive yields supported by long-term contracts with low commodity sensitivity, MLPs became the go-to provider of public energy infrastructure capital. From 2010-2014, 71 new MLPs came public and the sector grew to a market capitalization of $477bn by December 31, 2014 – three times the value it was just five years earlier. Nevertheless, both newer and older MLPs proved woefully unprepared for the oil downturn. Rising oil prices and ample new capital from 2010 to 2014 had given investors a false sense of security. Long-term contracts were thought to insulate MLPs from a drop in oil and gas prices, but they were little help when oil prices fell off a cliff and the stability of those contracts evaporated as many of the counterparties were facing sudden bankruptcy. Meanwhile, leveraged hedge funds and closed-end funds had to deal with plunging stock prices and loan covenants. With earnings under pressure and access to equity largely closed off, the MLP model, the industry, and the asset class, were all severely stretched. Flash forward a few years, however, and the world is looking much brighter for North American energy infrastructure. While the downturn obscured the secular growth story around North American energy, it actually had the effect of putting the US in an even stronger position. First, global demand growth for oil has been significantly stronger than was expected. In 2014 many thought it would take almost a decade before 100 million barrels per day in global demand was reached, but the global market will now reach that level later this year. Lower oil prices also curbed the big conservation push that had been seen when oil was trading above $100. Meanwhile, led by China and India, demand in developing countries has been robust due to greater industrialization and increased sales of new vehicles. On the supply side, lower oil prices significantly curtailed investment in large, new oil projects around the globe from 2015-2017. This lack of investment has ensured few projects coming on-line between 2018 and 2020. With many OPEC countries needing at least $80 oil prices to balance their budgets, OPEC made the decision to curb supply, which helped get inventories back in balance. For some OPEC countries, however, the damage was already done. The lower oil prices destroyed their economies, which in turn hurt their ability to produce oil. The most notable casualty, Venezuela, has seen its oil production fall from 2.35 million barrels per day (b/d) at the end of 2015 to just 1.44 million b/d today. Meanwhile, US shale production has filled the void. Lower prices forced US producers to become even more efficient. Additionally, shale, with its shorter lead times and quicker paybacks, became the ideal production method for a volatile, lower-price oil environment. US oil production, which fell from a peak of almost 9.6 million b/d in mid-2015 to below 8.5 million b/d in July of 2016, has rebounded rapidly and is now at 10.9 million b/d. But it’s not just about oil. Production of natural gas and natural gas liquids (NGLs) has also exploded. Driving a lot of the US production growth has been a surge in exports. It wasn’t until December 2015 when the oil export ban was lifted that US producers could, with the exception of Canada, even export oil without a special dispensation from the President. In recent months, the US has been exporting over 2 million b/d of oil. There is similar story with natural gas. A little over a decade ago, US companies spent billions of dollars to build liquefied natural gas (LNG) regasification terminals so that the US could import LNG from rest of the world. Over the past five years, US companies have spent billions more turning these regasification terminals into liquefaction terminals so that the US companies can export LNG. With the completion of four terminals at Cheniere Energy’s Sabine Pass and another terminal at Dominion’s Cove Point, the US is now exporting over 3 billion cubic feet per day (bcf/d) of natural gas, and this level of LNG is expected to grow to 8.5 bcf/d by 2020 as additional liquefaction terminals come on line. The big increases in both US production and exports have been very beneficial for North American infrastructure companies. This growth has required a significant amount of investment in gathering assets, processing plants, pipelines, export docks and liquefaction terminals. That investment has been boosted by the need to reverse the flow of much of the oil and natural gas. Historically, oil and natural gas were being imported to the Gulf Coast and moved to refineries and population centers in the north. In contrast, today’s production out of the key shale basins – ranging from the Marcellus in Pennsylvania and West Virginia, to the Bakken in North Dakota and the Permian in west Texas and New Mexico – needs to be moved to the Gulf Coast where it is either processed, refined or exported. 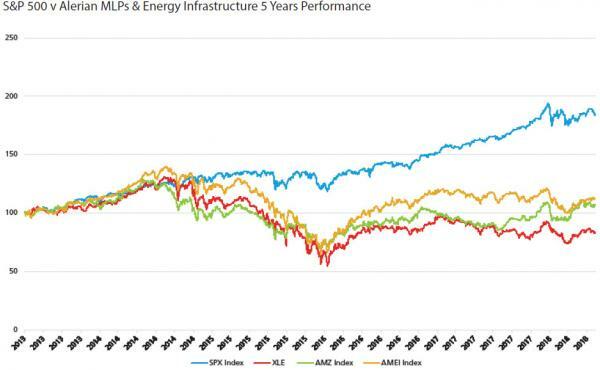 Despite the strong growth story and the attractive returns that companies have started to earn on their projects, North American energy infrastructure stocks have not yet responded. The restructurings that many companies have had to undertake have weighed on the sector. These restructurings have involved deleveraging balance sheets, distribution cuts, mergers between general partners (GPs) and MLPs and the elimination of GP incentive distribution rights (IDRs). If things were not difficult enough, just as the sector seemed to be on the road to recovery, an unexpected ruling in mid-March by the Federal Energy Regulatory Commission (FERC) regarding tax disallowances on natural gas pipelines sent the sector downward with MLPs (as measured by the Alerian index) falling 8% in the last two weeks of March. However, in mid-July the FERC blinked and softened the ruling. With the FERC risk now largely mitigated and many of the restructurings now behind us, energy infrastructure finally looks attractive on multiple levels. The sector, which has significantly underperformed the broader market on both a one-year and three-year basis, offers compelling valuations. Companies in the sector enjoy very attractive distributions, especially compared to other income vehicles. Additionally, balance sheets look healthy and the continual reliance on equity markets to fund cash flows has been significantly mitigated. A funny thing has also happened with all the restructurings. A sector that used to be dominated by traditional MLPs now contains a significant number of pure C-corporations. Former leading MLPs like Kinder Morgan, ONEOK, and Targa have now consolidated their GPs and MLPs and are now C-corps. The FERC ruling is also spurring others to act. Very recently, Williams Companies and Enbridge Inc. announced plans to buy in their MLPs, and it is likely that others will follow. Including recently announced transactions, there are now eight pure midstream C-corp companies with a total market cap of over $175bn. All of these companies offer a great opportunity to invest in the secular growth story surrounding North American Energy Infrastructure without having to deal with tax complexity (including annual K-1s) and possible further restructurings that come with MLPs. Furthermore, because these companies appeal to a much wider shareholder base in the US and beyond and can qualify for major indexes, they tend to be more liquid. North American Energy Infrastructure companies are worth a second look. Many Institutional investors seem to feel the same as search activity has picked-up over recent months. The changing landscape we have witnessed over the last two years has paved the way for better access to the secular growth story around North American energy. And with company valuations still at a meaningful discount to historical levels, the sector may offer good relative value. 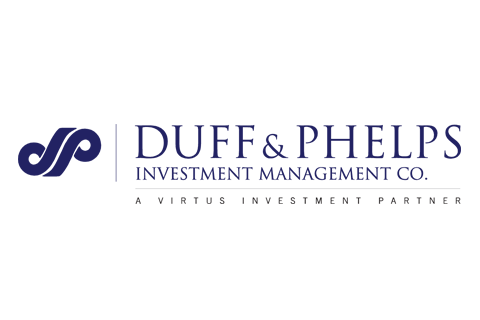 Alerian Midstream Energy Select Index (AMEI): A composite of North American energy infrastructure companies. The capped, float-adjusted, capitalization-weighted index, whose constituents are engaged in midstream activities involving energy commodities, is disseminated real-time on a price-return basis. Alerian MLP Index (AMZ): A composite of the 50 most prominent energy master limited partnerships (MLPs) that provides investors with an unbiased, comprehensive benchmark for this emerging asset class. The index is calculated using a float-adjusted, capitalization-weighted methodology and is disseminated real-time on a price-return basis. Energy Select Sector Industry Index (XLE): Seeks to provide an effective representation of the energy sector of the S&P 500 Index. The Index includes companies from these industries: oil, gas and consumable fuels; and energy equipment and services. S&P 500® Index (SPX): A free-float market capitalization-weighted index of 500 of the largest U.S. companies. The index is calculated on a total return basis with dividends reinvested. Indexes are unmanaged, their returns do not reflect any fees, expenses, or sales charges, and they are not available for direct investment.